Many are asking, how do naturally lower high blood pressure? Indeed, it would be better if we were all natural approach. In this case it turns out there is an easy and tasty way, there are many fruits that could be lowering high blood pressure. A principle, that high blood pressure should be resisted by implementing a healthy diet, one of the most important is to reduce the intake of sodium salt (sodium) are frequently encountered in salty and processed foods. Fruit lowering high blood pressure should certainly have a very low sodium content, but rich in other minerals that are good for the heart and blood vessels such as potassium, calcium, and magnesium that can lower blood pressure naturally. Melon is an excellent source of vitamin A, vitamin C, thiamin and potassium. One cup of cantaloupe (173 g) contains 484 mg of potassium, equivalent to 14 percent of the recommended daily requirement. Melon is also a good source of magnesium, folic acid and vitamin B6. Watermelon is one fruit that is easy to come by because many in Indonesia, many are taking them, especially when they find out the benefits. 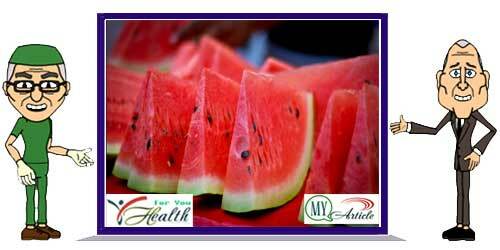 Did you know that watermelon can lower high blood pressure because it contains L-citrulline. This substance will help memebuat relax blood vessels, so that watermelon could be lowering high blood pressure. Half slices of avocado provide 1% calcium, 5% magnesium, and 10% potassium we need every day. Besides containing minerals that can lower high blood pressure, avocado is also rich in monounsaturated fat which is healthy for the heart. One kiwi fruit sized to provide 2% of calcium, magnesium 7% and 9% of the potassium we need every day. Indeed, this fruit is rarely available in traditional markets, but can be easily we find in the supermarket. In addition, kiwifruit is also rich in vitamin C, even with the same size more of its vitamin C content than oranges. One medium-size banana provides 1% of calcium, 8% magnesium, and 12% potassium we need every day. High levels of potassium that this is good for lowering blood pressure. Eat two bananas every day for best results. Add a banana (the third) to prevent stroke, and help for those who have a family history of stroke. Various kinds of citrus fruits are known for the content of vitamin C, meaning that this is a food high in nutrients and low in calories. With as much as 326 mg of potassium and contains no sodium, then this is one of the best pieces of lowering high blood pressure. Lemon is also a good source of potassium, calcium, phosphorus, vitamin A and folate. Choose grapes that are ripe for best flavor and quality. Bioflavonoids present in wine not only helps to lower high blood pressure but it can also help lower cholesterol levels. Wine as much as 123 g containing 166 mg of potassium and meets 5 percent of the recommended daily value of potassium. Apricot is a source of potassium and vitamin A which is very good. In one cup of dried apricots (119 g) contains 2,202 mg of potassium, maybe this is one of the best foods that are rich in potassium. This fruit is only slightly sodium, saturated fat and cholesterol. If you want to replicate the results of clinical studies conducted in India, then you should eat nuts before lunch or dinner. The guava fruit has high potassium levels, rich in natural fibers. Thus, guava can lower high blood pressure and helps digestion so petrified also in an effort meurunkan weight. Lowering blood pressure is one of the many benefits of eating tomatoes. Tomatoes are rich in lycopene, can help and control assist in helping prevent diabetes, premature aging, and including lowering hypertension. In the presentation, it will be better eaten without much processing, and not with other ingredients such as cheese and fatty meats such as pizza. Blueberries contain a lot of antioxidants in it, such as raspberry, and this has a direct impact on blood pressure, by defeating free radicals in the body. You can know to eat a bowl of fresh blueberries mixed with other fruits as a refreshing breakfast. Just do your best to eat them, that is without adding sugar, or by mixing other materials.